I am very excited to once again be a part of children and parenting author L.R. Knost's book launch tour. I previously reviewed the first book in her parenting handbook series, Two Thousand Kisses a Day: Gentle Parenting Through the Ages and Stages. You can read that review here. I really liked Two Thousand Kisses a Day and was super excited to read the next book in the series, Whispers Through Time: Communication Through the Ages and Stages Of Childhood. I liked this book even more than the first one. In fact, I LOVE this one! Good communication is the foundation of any positive relationship. It is, therefore, no surprise that gentle, positive parenting is also dependent on how well you communicate with your child. Starting with newborn babies and on through adulthood, L.R. Knost teaches parents how to communicate well with their children through the different stages of life. She uses simple, easy to understand language and keeps the chapters short and to the point. This is a huge plus for busy parents who may not have tons of time to read but would still like to improve their relationships with their children. My kids are 2.5 years and 14 months old now and I barely have time for myself. However, I found this book very engaging, simple, and easy to read. I was able to read bits and pieces of it throughout the day when I could steal 5 minutes to myself. This book has given me new insights into my toddlers' brains and stages of development. It has helped me to try to think from their point of view instead of assuming things are the way that I think. One of my favorite chapters was Chapter 7, The Taming of the Tantrum: A Toddler's Perspective, which shows us the reasons why young children have tantrums and how to try to prevent them from a toddler's perspective. I found it pretty amusing but also pretty insightful. I am far from being a perfect parent. In fact, I have A LOT to improve upon, but this book has helped me to see my children in a new light and I will strive to do my best at connecting and communicating better with them. This is a must read for any parent wishing to improve their communication and strengthen their relationship with their children! The book has an appendix at the end with Twelve Steps to Positive Parenting which I really love. My husband and I are trying to slowly implement those steps and I have printed the steps we are working on and taped them to the wall in our room as a daily reminder. I cannot wait to read the next book in this amazing series and to continue on this journey to improve not just my parenting but my relationship with my boys as well. 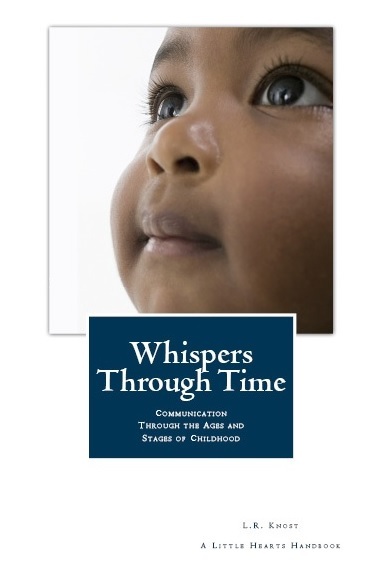 Chapter 1 ‘Communication: Whispers Through Time’ explores the importance of communication and connection in parent/child relationships. Chapter 2 ‘Baby Talk’ celebrates those first moments and days and weeks of communication between newborns and parents. 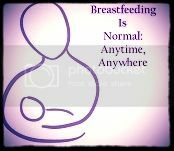 Chapter 3 ‘Becoming Mommy’ shares the beauty of embracing parenthood. Chapter 4 ‘Baby Signing: A Gentle Introduction to Communication’ introduces the concept of using baby signs to communicate. Chapter 5 ‘The Power of Perception’ explores the connection between a parent's perception of their child's motives and the parent's response. Chapter 6 ‘Eleven Tips to Beat the Mama Blues’ shares eleven ways to work through those sometimes hard, sometimes humdrum days of parenthood. Chapter 7 ‘The Taming of the Tantrum: A Toddler’s Perspective’ explores life from the perspective of a toddler and offers guidance on how to use communication to reduce or eliminate tantrums. Chapter 8 ‘The NO Zone’ shares ideas for how to respond when a toddler discovers how to use the word, "NO!" Chapter 9 ‘The Secret of the Whisper’ offers a unique response to little people's sometimes big emotions. Chapter 10 ‘Ten Ways to Play When Play is the Last Thing on your Mind’ shares ten ideas for weaving play into an ordinary day. Chapter 11 ‘A Listening Heart’ breaks down the concept of listening and offers ideas for how to pinpoint the issue if listening is a problem. Chapter 12 ‘A Child’s Heart’ shares a glimpse of the power of communication and connection. Chapter 13 ‘Why Whining is a Win’ offers a unique perspective on that age-old annoying behavior...whining. Chapter 14 ‘Can We Talk?’ explores adults' use of figurative language and the confusion that can result for children. Chapter 15 ‘Age of Reason: Why, oh Why, Do They Always Ask Why?’ examines why the why stage is so important. Chapter 16 ‘Five Gentle Tools for Handling Lying’ shares a practical and gentle approach to lying. Chapter 17 ‘Rethinking Tattling’ explores the importance of listening to tattling. Chapter 18 ‘The Artist in the Child’ celebrates the differences in children through the unique perspective of the artist. Chapter 19 ‘Whisper Words of Wisdom’ examines the unseen wounds that thoughtless words can inflict. Chapter 21 ‘The sWord and the sTone’ covers the importance of living what you want your child to learn. Chapter 22 ‘Chatterboxes and Dreamers: Is Your Child an Introvert or an Extrovert?’ discusses the different parenting approaches to different personalities. Chapter 23 ‘I is for `I dunno’ and That’s Good Enough for Me’ shares some insights into the mysteries of the adolescent mind. Chapter 24 ‘Backtalk is Communication: LISTEN!’ tackles the startling truth that when children talk back they are actually communicating. Chapter 25 ‘My Huckleberry Friend’ shares the reasons that a parent should not only be their child's friend, they should be their best friend. Chapter 26 ‘Whispering Winds of Change’ explores the process of letting them go while still holding them close. Chapter 27 ‘Messages in a Bottle: Our Hope for the Future’ shares thirty-two messages to write on the hearts and minds of your children before sending them out into the world. This post is part of the Virtual Book Tour for the launch of L.R.Knost's newest release Whispers Through Time: Communication Through the Ages and Stages of Childhood. Click here if you’d like to check out all of the other stops on the tour! 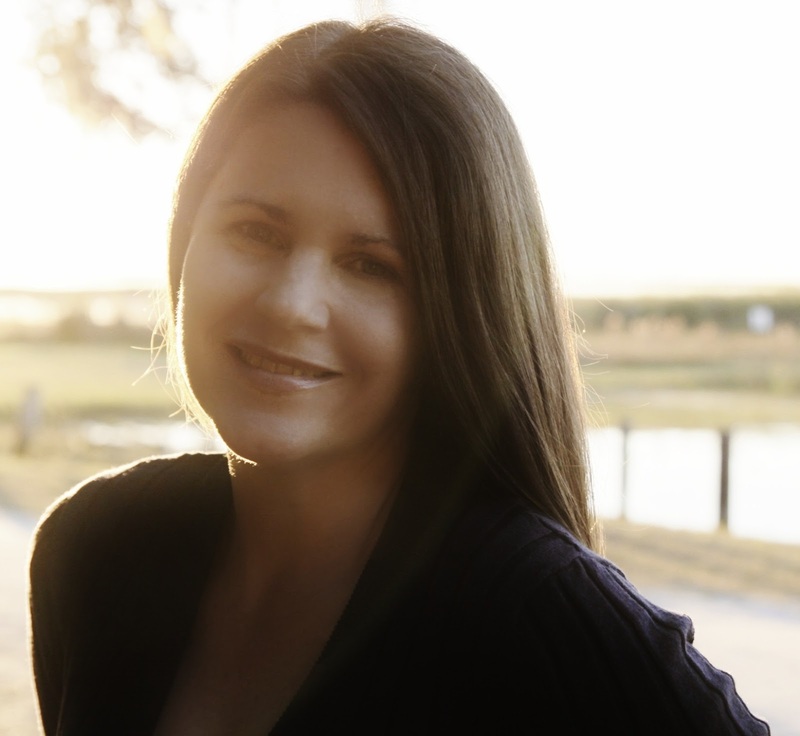 Best-selling parenting and children’s book author, L.R.Knost, is an independent child development researcher and founder and director of the advocacy and consulting group, Little Hearts/Gentle Parenting Resources. A mother of six, her children range from 25- years down to 25-months-old. Two Thousand Kisses a Day: Gentle Parenting Through the Ages and Stages and Whispers Through Time: Communication Through the Ages and Stages of Childhood are the first in her Little Hearts Handbooks series of parenting guides. The next book in the series, The Gentle Parent: Positive, Practical, Effective Discipline is due to be released November 2013. Other works by this award-winning author include the children's picture books A Walk in the Clouds, Petey’s Listening Ears, and the soon-to-be-released Grumpykins series for ages 2 to 6, which are humorous and engaging tools for parents, teachers, and caregivers to use in implementing gentle parenting techniques in their homes and schools. You can purchase the book on Amazon for only $7.19 here. L. R. Knost is kindly giving one lucky readers the chance to win one copy of the book. Giveaway ends Monday, July 1st, 2013 at 6pm EST. Winner will be announced here and on the Diary of a Natural Mom Facebook page once the contest is over. See Rafflecopter form below to enter.